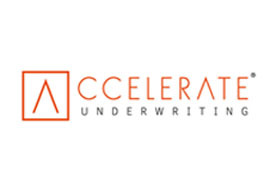 This schemes management facility will enable you to create and efficiently place non-standard, specialist and niche commercial schemes with Accelerate Underwriting Ltd ™, an MGA specialising in non-standard business with access to both Lloyd’s and non-Lloyd’s capacity. The facility allows you to create new or refreshed facilities for schemes, rather than using standard ‘off-the-shelf’ products and will help you to focus on operations and sales while being supported with expertise in underwriting and product governance. Contact Accelerate at [email protected] or 020 3141 2574 to arrange a fact finding meeting to ensure Accelerate understand your requirements. Once it is agreed that an opportunity exists, Accelerate will forward a TOBA to you to sign. A high-level proposition will be drafted for your review – following feedback, Accelerate will follow their rapid product development process and build your product on AcceleRATER™, their E-trading platform. Accelerate will visit your office(s) to provide system and product training and will then launch the product on a unique website that only you and your team can access. Alternatively, if you’d rather build the product on your own system, Accelerate can work with you to build and launch the product on your IT platform.